It is almost unbearable to imagine walking downtown Kirkland on a warm summer’s day about to cross the street to meet your friend for lunch. You pause, look both ways, maybe even grab a flag, and out of nowhere you are hit by a car. As mentioned above, nearly two people a month are struck by cars crossing the street. The truth is that there are more distracted drivers, negligent and even drunk drivers on the road than ever before. Because of this, walking in Kirkland had sadly become dangerous. What if you have been hit by a car walking in Kirkland, Washington? If you or a loved one have been hit by a car and injured in Kirkland or anywhere else in Washington State you might be able receive compensation for your pain and suffering. As mentioned before, the numbers of pedestrians involved in Kirkland car crashes will continue to increase every year until distracted drivers are removed from the roadway. Surprisingly and disappointingly many of these Kirkland pedestrian accidents occur while the pedestrian in within a crosswalk. 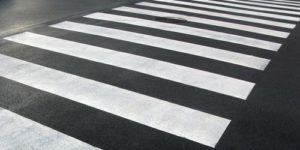 Just in October of this year, a 17-year-old boy sustained injuries when a Ford Explorer hit the boy when he was walking in a designated crosswalk in the Finn Hill, Kirkland area. In August a Suspected drunk driver hit and injured a Kirkland woman while within a crosswalk. The drunk driver was driving a Honda Pilot. Those are just two examples of Kirkland crosswalk injuries where both pedestrians were struck while in a Kirkland crosswalk by a SUV. Clearly the potential for serious injuries is huge. Have you been injured in a pedestrian car accident in Kirkland, Washington? Being hit by a car in Kirkland is likely the scariest thing that has ever happened. It is also; likely that you have medical bills piling up, lost wages from work and severe pain and suffering. If any of this is true, it would be very wise to contact a Kirkland personal injury attorney as soon as possible. A Kirkland pedestrian accident lawyer will be able to assist you in obtaining the compensation you deserve. Please do not hesitate to contact our office for a free confidential consultation with an attorney.